Whenever we go to Siena, I hot-foot it to the nearest cake shop and buy some delicious Cavallucci biscuits. They’re one of the most well-known Christmas treats in Tuscany, dating back to Renaissance times when the church’s council handed them out to their congregation. Hailing originally from Siena, these old-fashioned biscuits have a soft crumbly texture and are made with plain flour, nuts, honey, candied fruit and spices. Nobody knows the exact origin of their name which comes from cavallo (horse). Fitting perhaps since the famous horse race the Palio is held in Siena. Some believe that it comes from their shape, with a central furrow – missing from mine – resembling a horse hoof, or perhaps because a little horse was once imprinted on top of them. Others point to how they were often consumed by roadhouses workers, where travelers would stop to rest and change their horses. 1. Preheat the oven to 180ºC/(350ºF)/160ºC fan and line a baking tray with baking paper. 2. Put the walnuts onto the tray and put them in the heating oven for about 5-7 minutes so they are lightly toasted, then chop them. 3. Put all the spices into a spice grinder and pulse quickly to combine them, or crush the aniseeds lightly with a mortar and pestle and combine with the other spices. 4. Sift together the flour and baking powder. 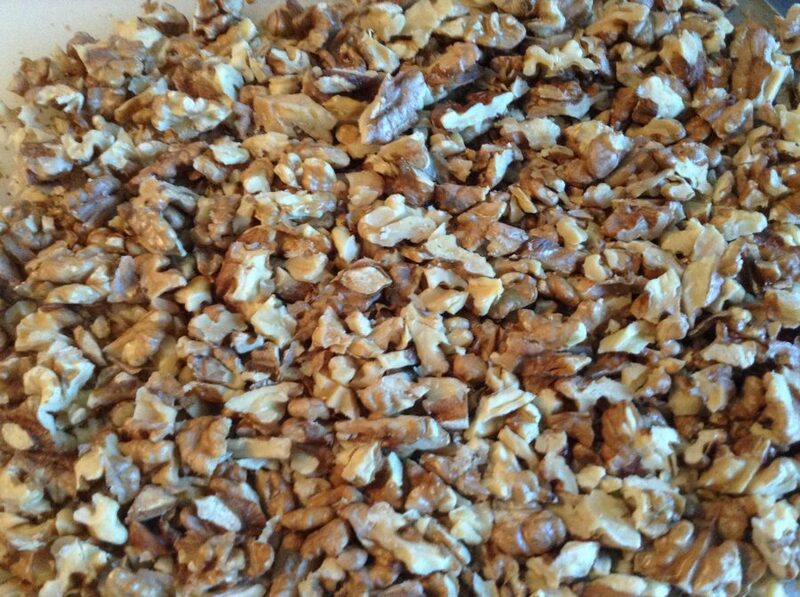 Add the spices, candied peel and cooled, chopped walnuts, and mix. Make a well in the centre of the bowl. 5. 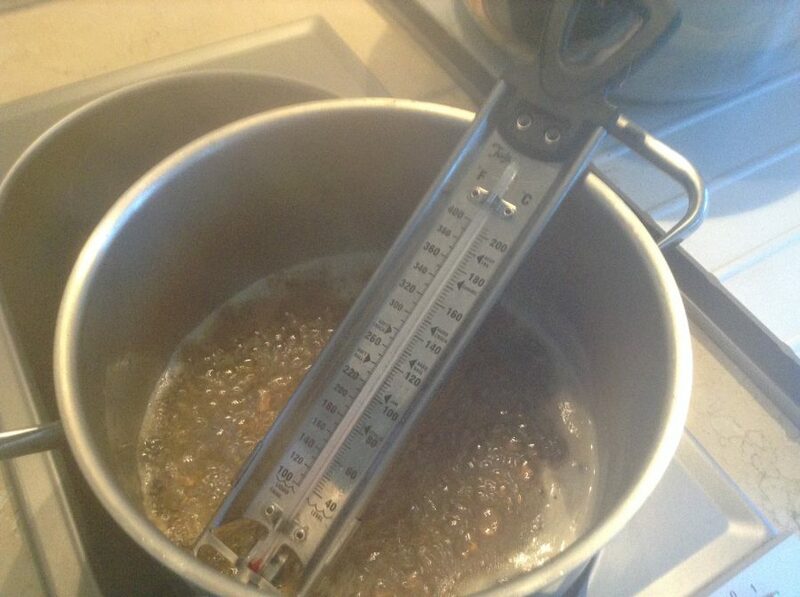 Put the sugar, honey and water in a small saucepan and stir over a low heat until the sugar dissolves. Bring to the boil, simmer gently until the temperature reaches 120°C/230°F. 6. 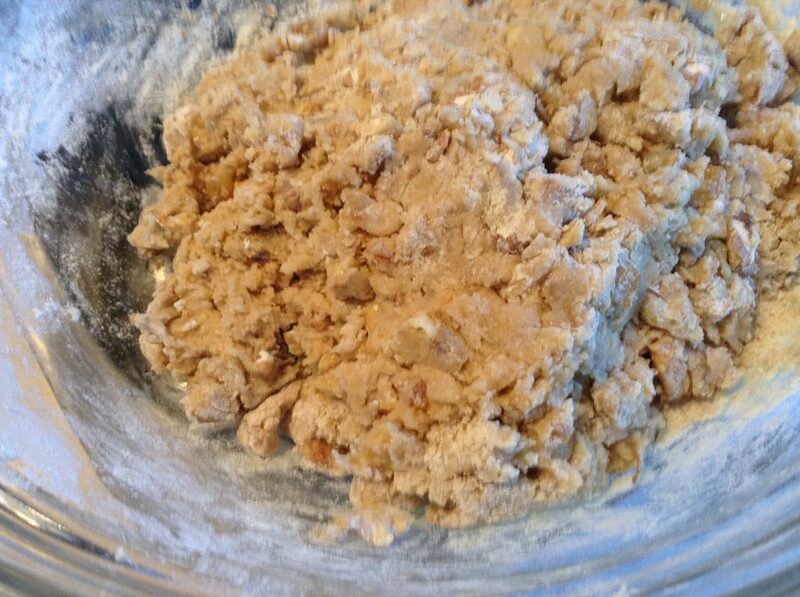 Tip the sugar mixture into the flour mixture, using a wooden spoon to combine the ingredients. 7. 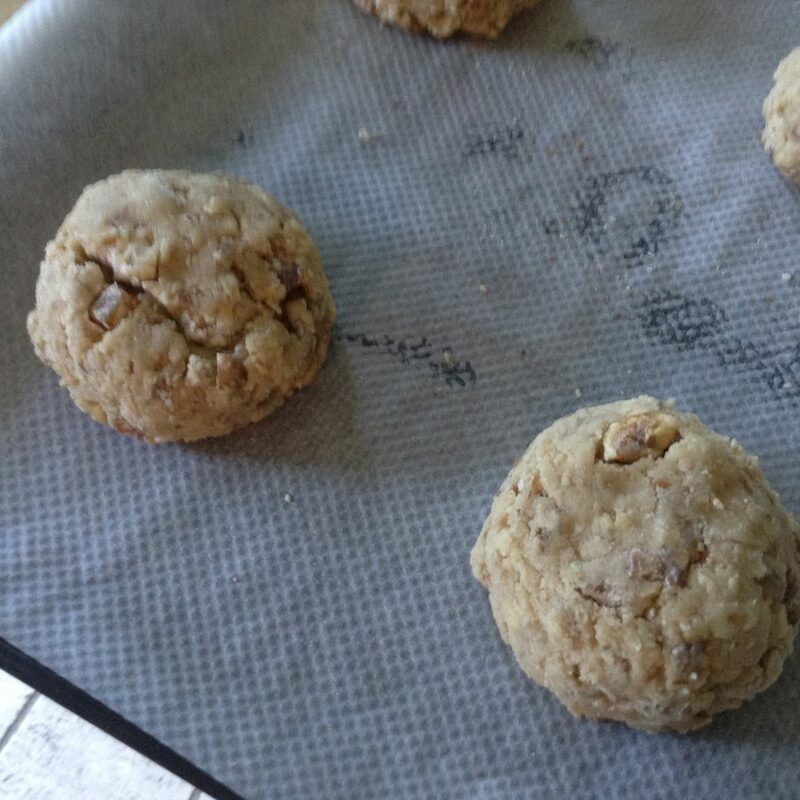 Form the mixture into walnut-sized balls, place them on the prepared baking tray and flatten slightly. Bake for 10-15 minutes until lightly browned and firm on the base. Don’t worry if they’re really soft, they will harden slowly. 8. Cool on a rack, then dust with icing sugar. Stored airtight, and away from my beloved, they will keep for 2-3 months. 1. 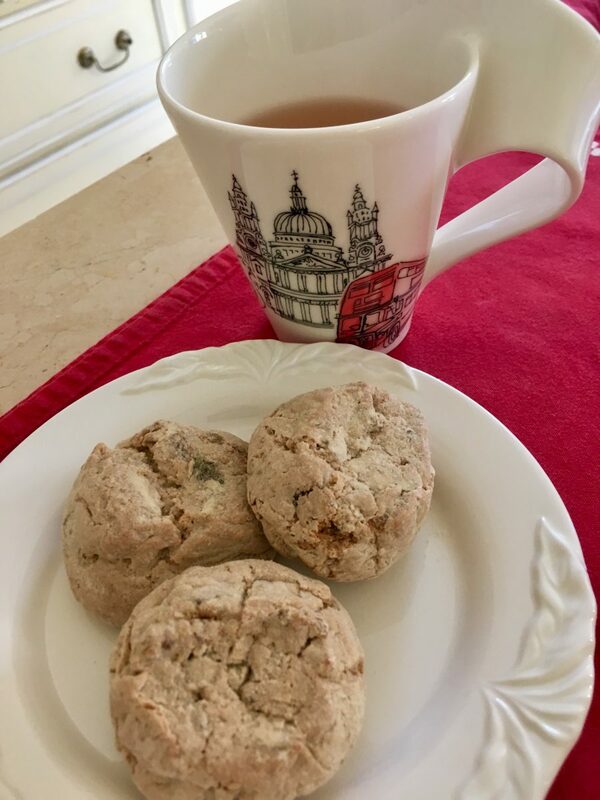 I’ve made these with almonds and walnuts and the latter are superior in these biscuits. Of course, make sure your nuts are fresh, and preferably organic. 2. Use a lightly flavoured honey such as acacia or millefiori. 3. I’ve not frozen these biscuits but I’d suggest freezing the dough rather than the biscuit. With no butter, they’re not too naughty! However, you do need to use good quality nuts, peel and spices. I find their taste brings to mind hot-cross buns.